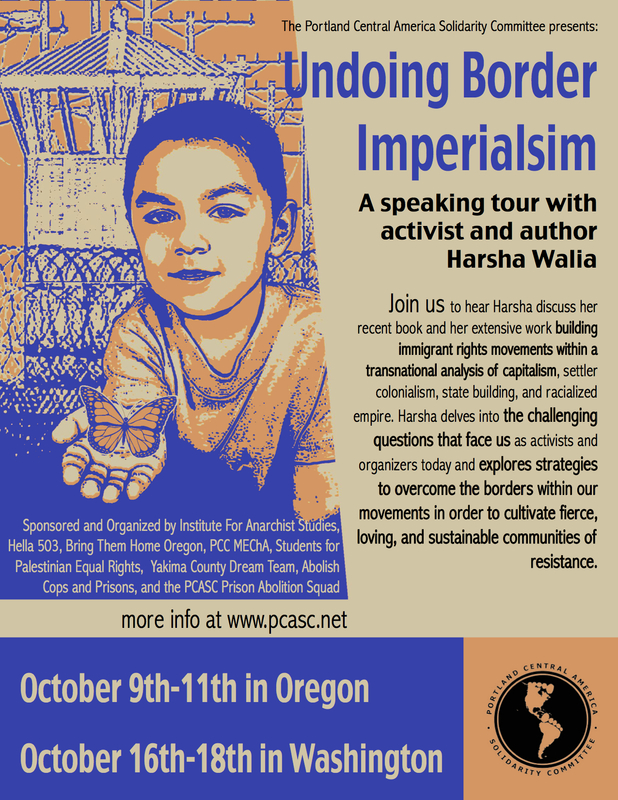 Harsha Walia in Washington and Oregon! Join us to hear Harsha discuss her recent book Undoing Border Imperialism, an Anarchist Interventions title published by the IAS and AK Press, as well as her extensive work building immigrant rights movements within a transnational analysis of capitalism, settler colonialism, state building, and radicalized empire. Harsha delves into the challenging questions that face us as activists and organizers today and explores strategies to overcome the borders within our movements in order to cultivate fierce, loving, and sustainable communities of resistance.